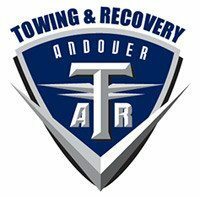 Starting with one truck and one driver, Andover Towing & Recovery has grown to be a full- service fleet of crew cab tow trucks catering to all of your roadside needs. We will tow any passenger vehicle to any destination or the shop of your choice. Of course, if you don’t have a shop in mind, we can provide you with multiple suggestions depending on your need. With timeliness and affordability in mind, we offer a full array of services at your disposal. Our staff is comprised of professionals in the industry and have years of experience so you can feel secure that your vehicle will arrive at its destination unblemished and as promised. Wichita and Andover KS Towing services are available 24 hours per day by calling 316-719-2100. As usual, passengers ride free with any tow so you will never be stranded!